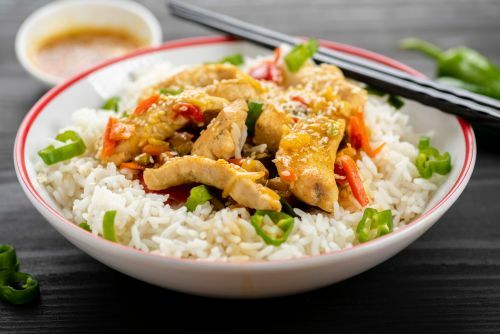 Menulog delivers for Superbowl Chinese Restaurant so you'll be able to track your courier on a map. Pork filled steamed wontons in chilli, garlic, shallots and coriander soy broth. Spicy chicken, onion, corn, celery and dried chilli. Deep fried battered boneless duck with plum sauce. Prawn, fish, scallop and squid. With pork in fine shrimp. Chicken, pork, shrimp, egg, peas and shallots. Stir fried ho fun noodles with seafood and chilli. Spicy hokkien noodles stir fried with seafood and egg. Pan fried noodles and vegetables. Pan fried noodles, chicken and vegetables. Rice vermicelli noodles, pork, shrimp and vegetables. Pan fried noodles, pork, chicken, seafood and vegetables. Short Soup. Pork and shrimp filling. Chicken, shrimp, bamboo shoots, black fungus, tofu and preserved vegetables. Clear soup with BBQ pork, steamed pork and shrimp filling. Clear broth, fish, squid, scallop, prawn and vegetables.